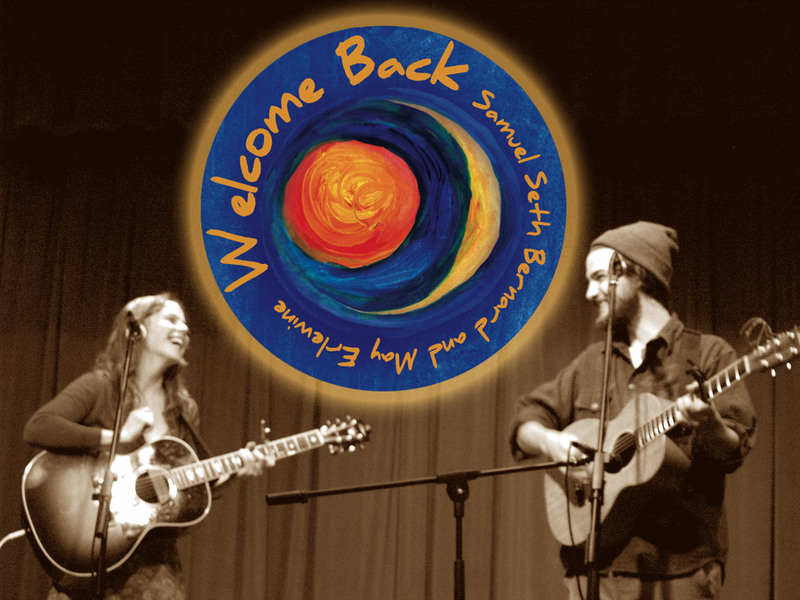 Seth Bernard and May Erlewine are releasing their new duo album, “Welcome Back,” at the Old Art Building in Leland on Friday, March 27th at 7:30 PM. Tickets are $12. This is the first duo album Seth and May have released under their real, full names: Samuel Seth Bernard and May Erlewine. This could be a metaphor for what this album is made of. The album has 12 original songs performed by a core band of May on vocals, acoustic guitar, violin, viola, piano, organ, dulcimer and banjo, Seth with lap steel, piano, keyboard, mandolin, tenor sax and electric guitar, Dominic Suchyta on electric and upright bass and Mike Shimmin playing drums and percussion. Encouragement is one of the main ingredients and underlying themes in this album. The album is a synthesis of the music, grass roots activism, and love Seth and May have been developing on their own, together and with their many communities and 10% of the proceeds from the Old Art Building show will benefit the Music for Chiapas Project. There will also be a CD Release event at InsideOut Gallery in Traverse City on Sunday, March 29th. For this special release event Seth & May will be accompanied by Joshua Davis, (vocals, guitar), Dominic Suchyta (electric and upright bass), and Mike Shimmin (drums, percussion). Tickets are $12 in advance and are available at Borders Books, Oryana, Cuppa’ Joe, Patisserie Amie & InsideOut Gallery. Tickets are $15 at the door. Doors open at 6pm and the show starts at 7. For more Information please call the InsideOut Gallery at 231-929-3254. You can get a poster with more shows around the state right here.